The NIEA is the nation’s largest and oldest Indian education organization. Their Convention and Trade Show is a yearly event that brings together advocates, stakeholders, and partners in a forum to collaborate and discuss improving education for Native students. To ensure a seamless meeting experience each year for the Association leadership, Trade Show exhibitors, and all Convention speakers and attendees, MABU provides the NIEA with all-encompassing event logistics. MABU serves the NIEA with attention to pre-convention planning, onsite support, and post-convention reporting to facilitate annual growth for the organization. In addition, MABU leads the production of Convention and Trade Show promotional materials, signage, and graphics. 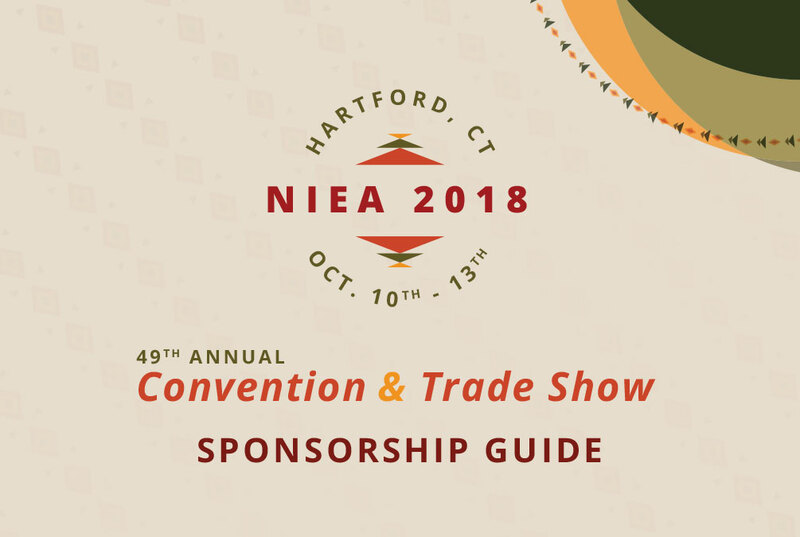 Each year, the NIEA Convention and Trade Show brings together over 100 exhibitors and more than 2,000 attendees invested in advancing educational standards for Native American students. MABU worked with NIEA to arrange productive events in Anchorage, AK; Portland, OR; Reno, NV; Orlando, FL; and most recently, Hartford, CT.
Go back to our full portfolio.